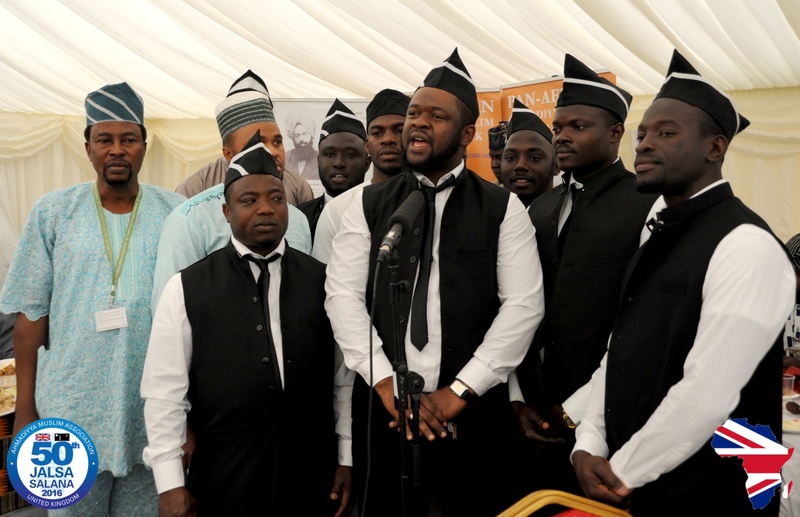 In accordance with tradition, the Pan-African Ahmadiyya Muslim Association (PAAMA) UK hosted the annual Post Jalsa Salana UK Reception in honour of Jalsa Salana delegates from Africa, and other senior members of the Jamaat. 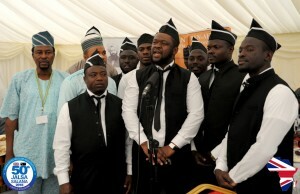 This year’s customary event was held on Sunday, August 12th at Fazl Mosque, London. 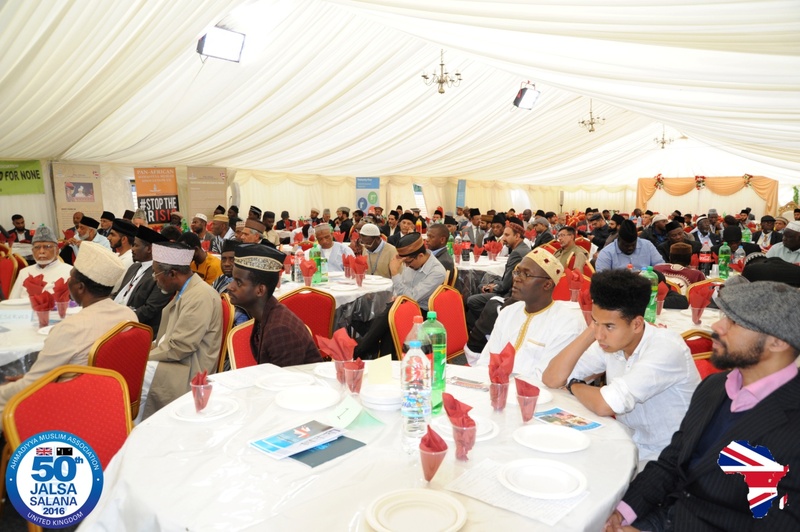 The First Session, which was chaired by Amir UK, Rafiq Ahmad Hayat Sahib, commenced with Tilawat by Maulana Abdullahi Juma Sahib and English Translation by Hamza Ilyas Sahib. 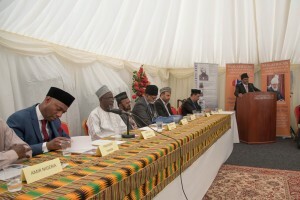 In his welcome address, PAAMA President, Tommy Kallon Sahib stated that the Abdul Wahab Adam Award recognises missionaries of African origin who have served the Jama’at with commendation while the Abdur Raheem Nayyar Award is awarded to missionaries of non-African origin who have served the cause of Ahmadiyyat in Africa with excellence. 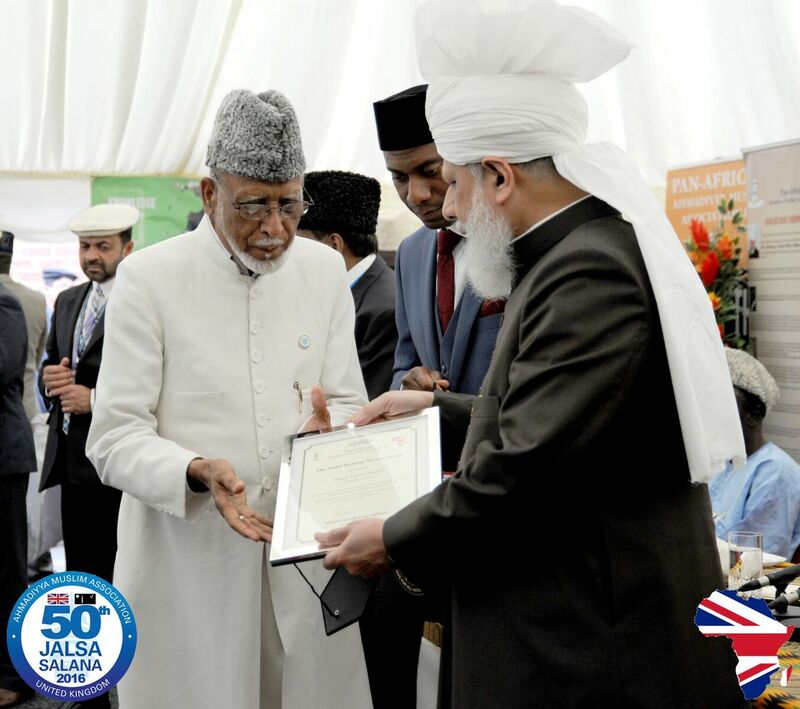 He also made mention of the PAAMA initiative to build a mosque in Africa with the blessed permission of Hadhrat Khalifatul Masih (aba) who had most graciously chosen Burkina Faso for the PAAMA mosque. Tommy Kallon Sahib prayed that this mosque would be the first of many mosques funded and built by PAAMA across all African countries. The closing remarks of the First Session came from Amir UK. 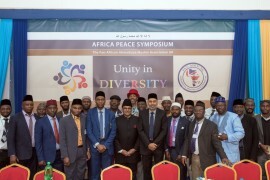 Amir Sahib mentioned his roots in East Africa and went on to remind the audience about the emphasis and attention given by Huzur Aqdas to the progress of the Jama’at in Africa. He ended the formal session by leading the silent prayers. Maulana Yusuf Athumani Kambaulaya Sahib of Tanzania who trained as a missionary at Jamia Ahmadiyya Pakistan. 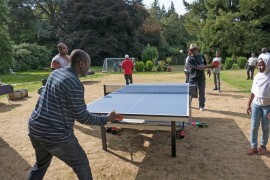 He has served as a Missionary in Tanzania since 1968. 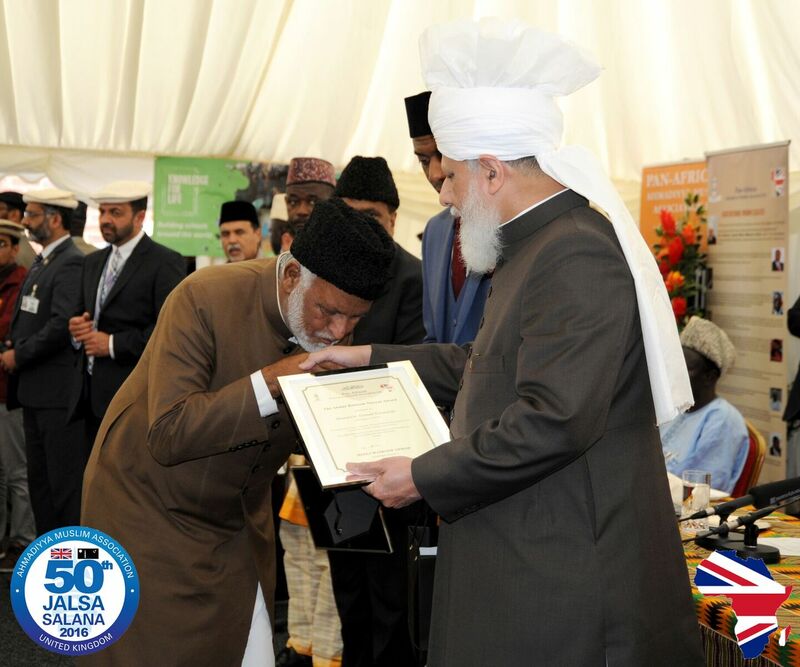 He has also served as the Principal of the Jamia Ahmadiyya in Tanzania. He has also translated some books of Hadhrat Masih Maud (as) and his Khulafa into Kiswahili language. 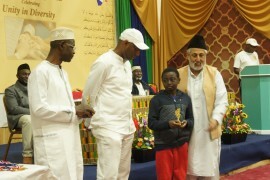 As he was not present in the UK, Amir Tanzania collected the award on his behalf. Maulana Abdullah Hussein Juma Sahib of Kenya who Maulana Abdullah Hussein Sahib trained as a missionary at Jamia Ahmadiyya Pakistan and has served the Jama’at in Kenya since 1968. 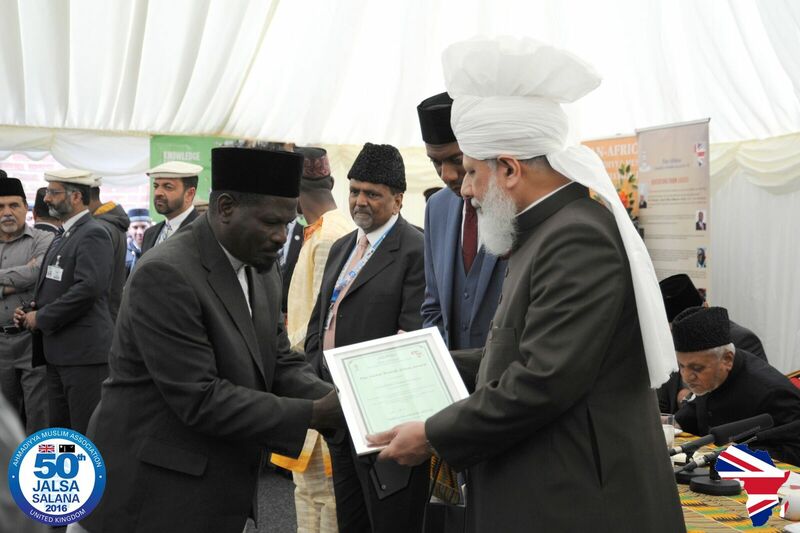 He has also served as the Missionary In-charge Ethopia and for 13 years as the Principal of the Jamia Ahmadiyya Kenya from 2001 to 2013. Since the year 2014 he has been serving as Muballigh Dawat illah & Tarbiyyat Nau Mubayyeen in Kenya. 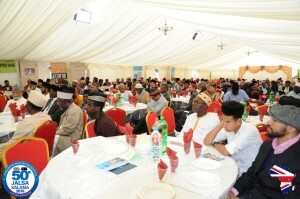 He has translated the books ‘Conditions of Bai’at’ and the ‘British Government and Jihad’ into Kiswahili language. Maulana Daud Ahmad Hanif Sahib who served in Africa for 30 years, the last 16 years of which he served as the Amir & Missionary In-charge of The Gambia, Senegal, Guinea Bissau, Mauritania and Cape Verde. Since 1996 he has been serving in the USA. Maulana Munawar Ahmad Khurshid Sahib who served in Africa for about 29 years from 1983 to 2011. He started his service as a teacher, missionary and finally as Amir. He also served as the Amir of Senegal, Guinea Bissau, Cape Verde and Mauritania. Maulana Khalil Ahmad Mobashir He served as a missionary in Sierra Leone in 1973 and served there for 24 years. 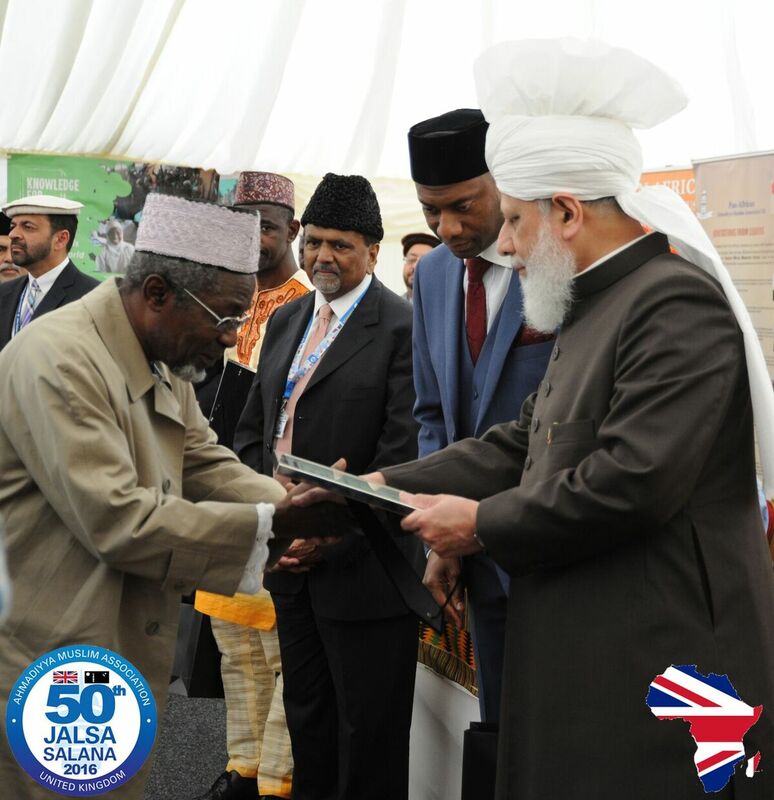 During the last 14 years of his service he served as the Amir of the Jama’at Ahmadiyya Sierra Leone. Maulana Khalil Ahmad Mobashir. 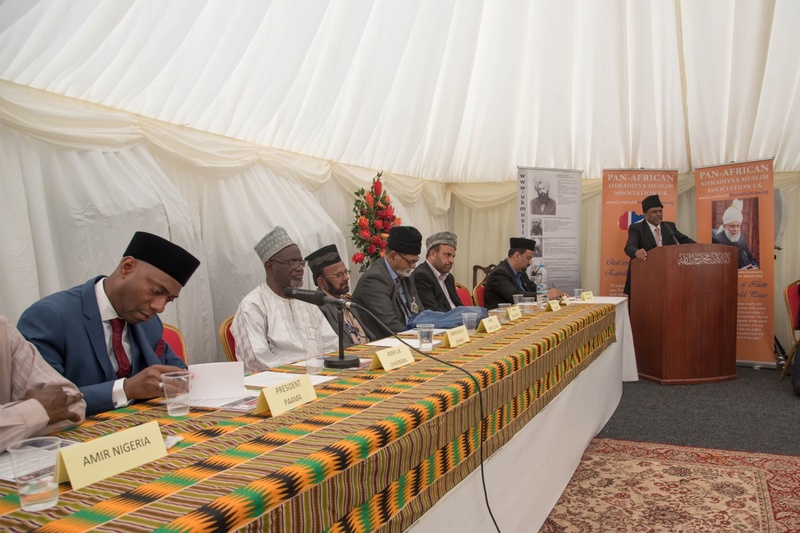 PAAMA President, Tommy Kallon Sahib, adds that it was during the Amarat of Maulana Khalil Ahmad Mobashir Sahib that, as a young Khadim, he got involved and attached to the Jama’at so would like to record his gratitude for this. 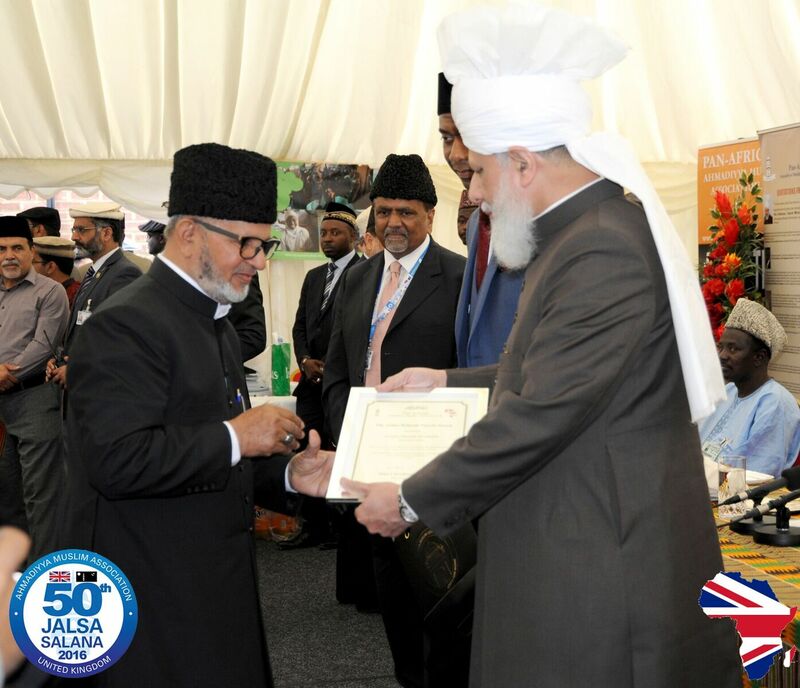 Following the Award Ceremony Huzur Aqdas (aba) led the traditional silent prayer after which lunch was enjoyed by all attendees. Lunch was followed by a short presentation of various poems specially prepared for the occasion which were very much appreciated by all attendees.